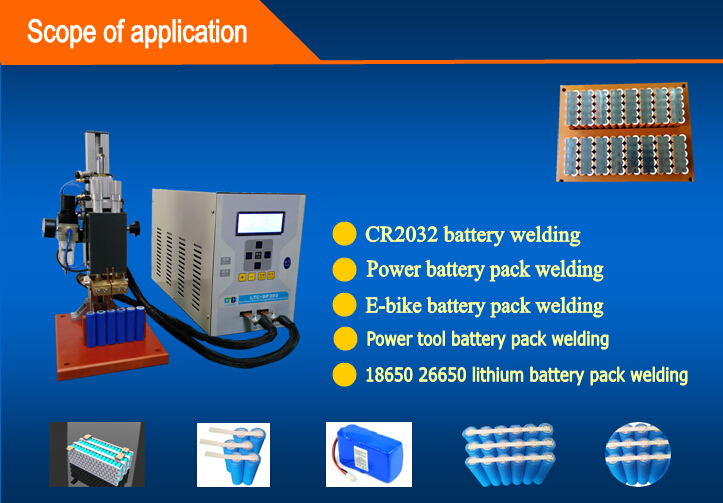 How to Spot Weld Power Tool Battery Pack and Electric Bike Battery Packs? battery welding pure nickel strips and tabs welding business. 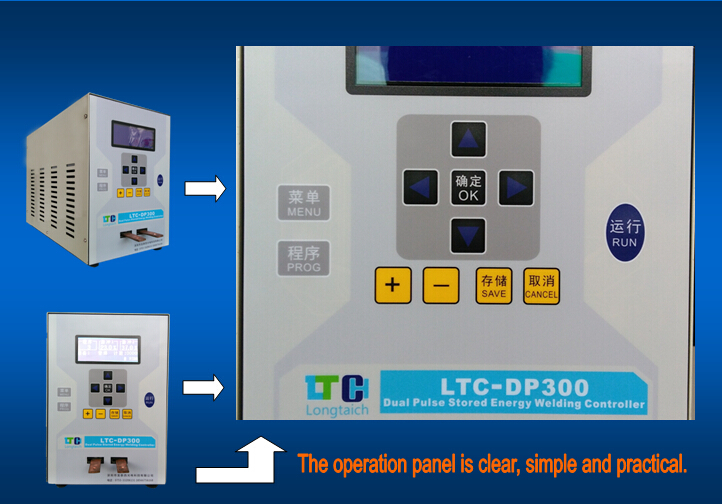 LTC-DP300 is a latest design DC capacitor double pulse micro battery pack spot welding machine, it is widely use in welding 0.1—0.5mm thickness battery pure nickel strips. 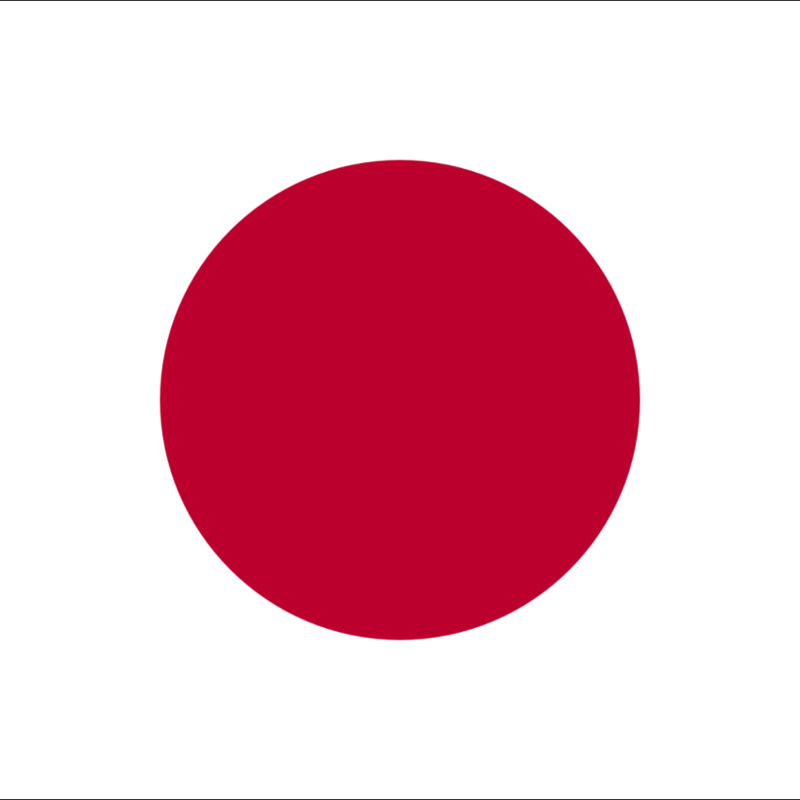 With air driving, easy operating and economic. 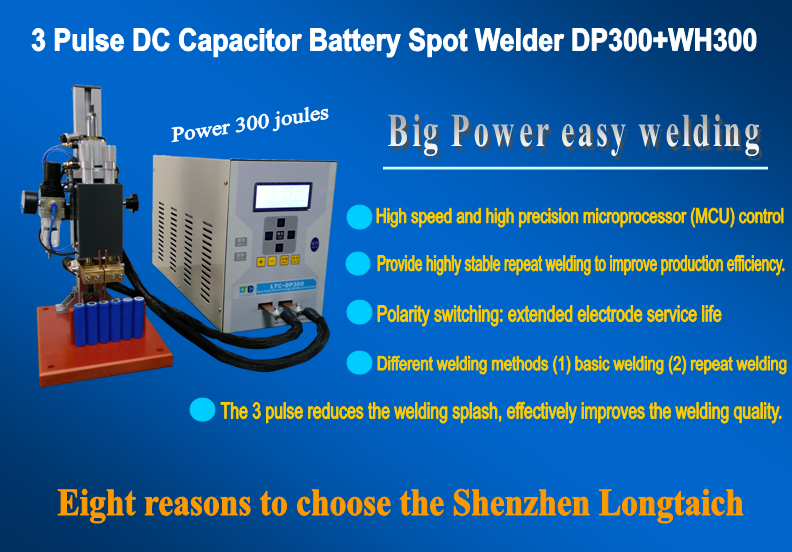 With Japanese IGBT controller, this DP300 DC spot welder works faster than general capacitor spot welders, fastest stored and released energy, meanwhile the LINK-WELDING function help workers to weld the battery in high speed. Battery rebuild and assemble factories and workshops use this battery spot welder to weld E-bike battery pack, Power tool battery pack, Drill battery, Self balancing scooters battery pack, Segway battery pack, Battery tabs, Battery nickel strips, 18650, 26650, CR2032 battery cells, lithium battery, 3A battery, D-cell battery, Ni-MH battery, Ni-Cd battery, battery welding pure nickel strips and tabs, battery accessories.etc. 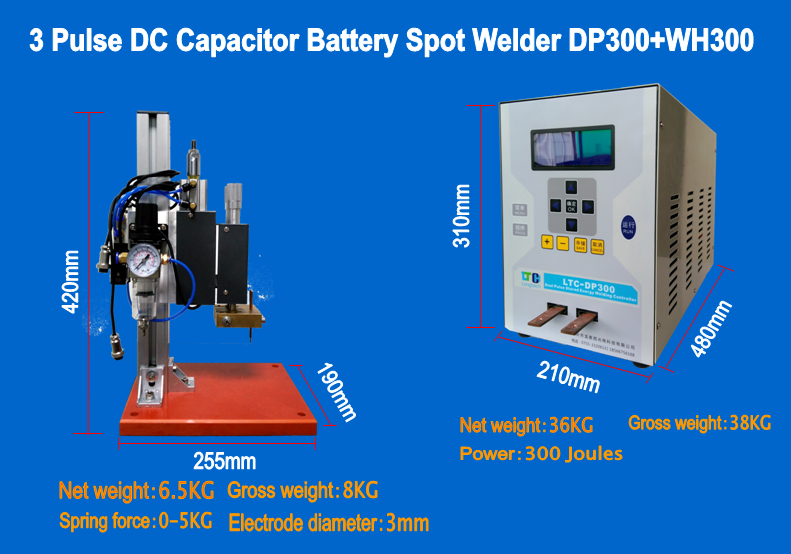 DP300 battery assembly welding power source adopts Japan the most advanced welding technology, is the present domestic advanced level of high performance precision resistance welding machine, designed for the production of high-end mobile phone batteries, power batteries, digital batteries, nickel metal hydride, nickel cadmium battery, such as needed to design, also can welding parts, LED lights, electronic components, feet, capacitance, etc. 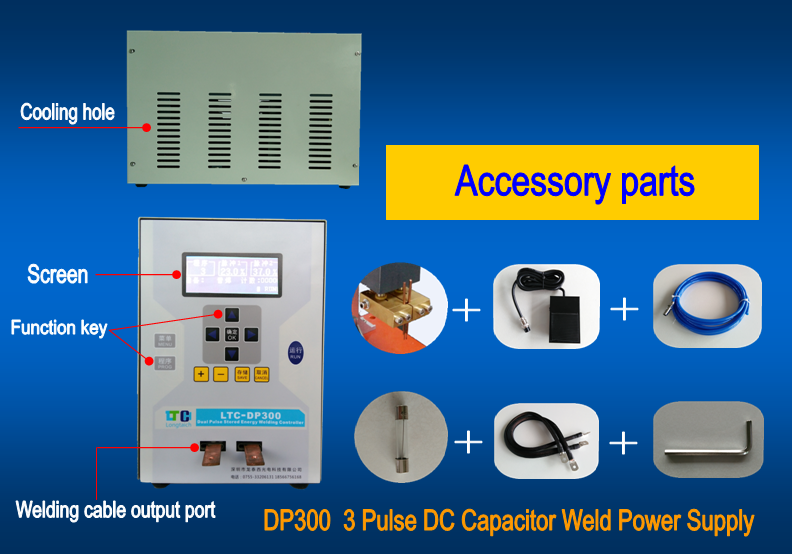 DP300 series precision resistance welding power source is the IGBT inverter technology, microcomputer control technology and modern power electronic technology development of a new type of power supply. Time control millisecond precision, control response and control precision is greatly increased; Significantly improve welding technology; Advanced technology and equipment has advantages of small, energy efficient and a series of; Microcontroller (MCU) and the using of electronic technology makes the equipment with outstanding features of modern equipment, including digital control, monitoring, fault diagnosis and protection, data transmission, etc., equipment is fully functional, flexible, convenient, adaptation of wide. 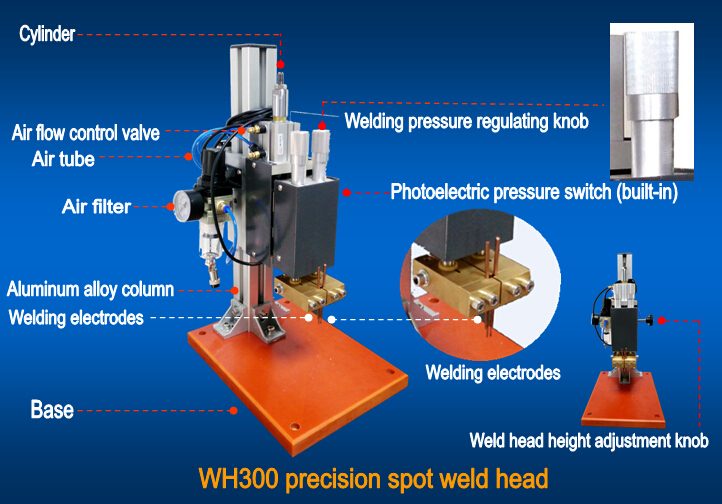 l high speed welding: quick start and high-speed switch polarity to reduce the temperature effect so that the welding surface is clean and beautiful. l polarity switch: inhibition of asymmetric effect for uniform two-point welding strength and prolong the service life of the electrode. l Welding the response speed. l blu-ray 19264 LCD screen display, graphical display of the current work status, friendly interface, welding pulse graphics functions improve the ease of debugging observation. 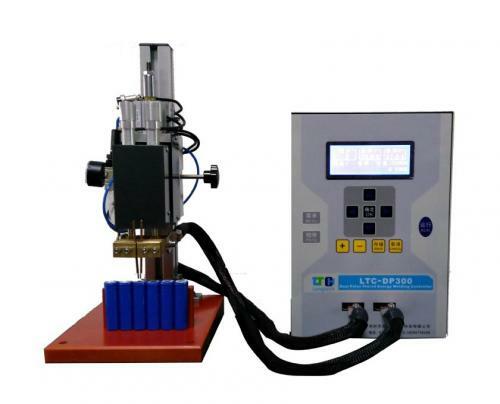 l double pulse reducing welding spatter, improve the welding quality. 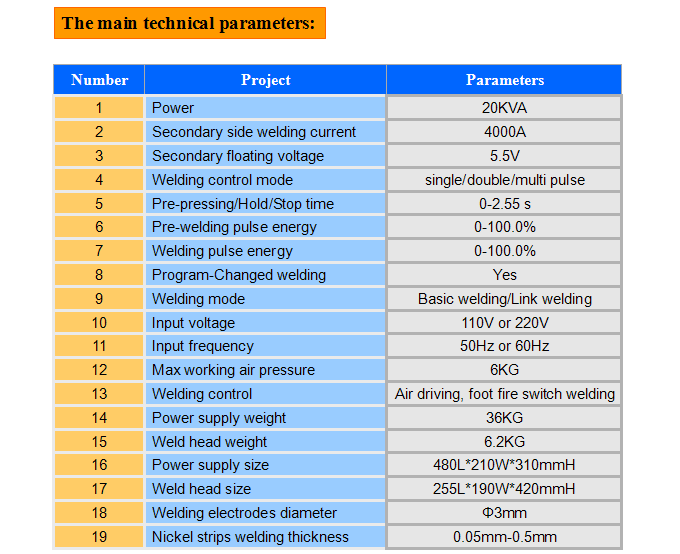 l Two kinds of different welding method (1) the average spot welding; (2) continuous welding. 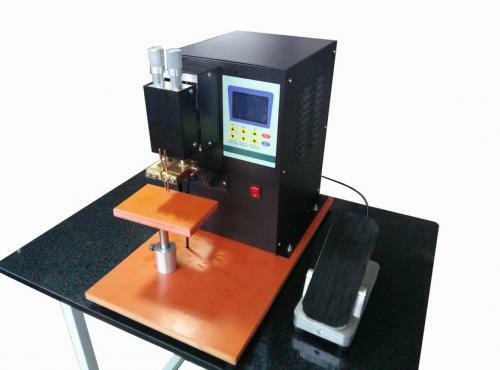 l Built-in welding counter, can do all its solder joints. l Data storage block using EEPROM, no battery life issues, to the use of welding procedure every time you boot. 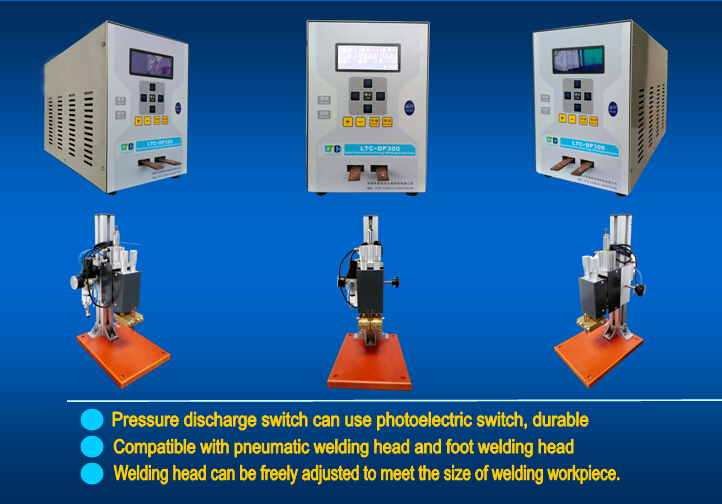 l Compatible with welding of pressure switch and no welding machine, welding head pressure switch. 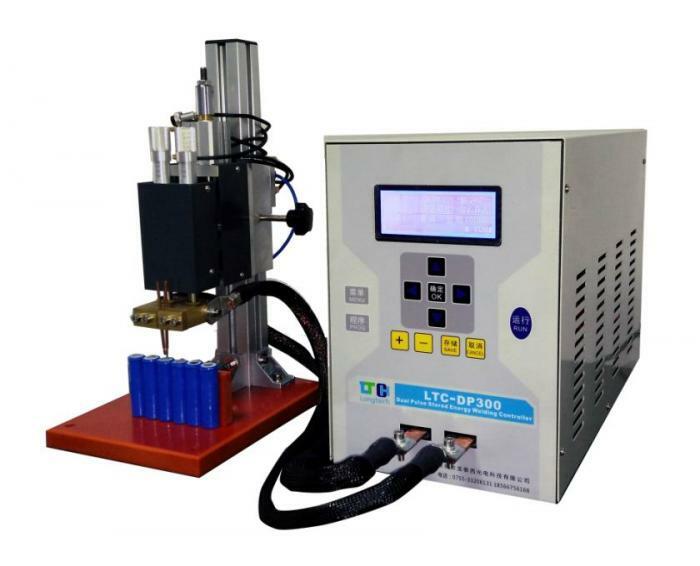 l Preloading time, pressure maintaining time continuous adjustable from 0 to 2.55 seconds. l pressure discharge switch can use photoelectric switch, non-contact, durable.